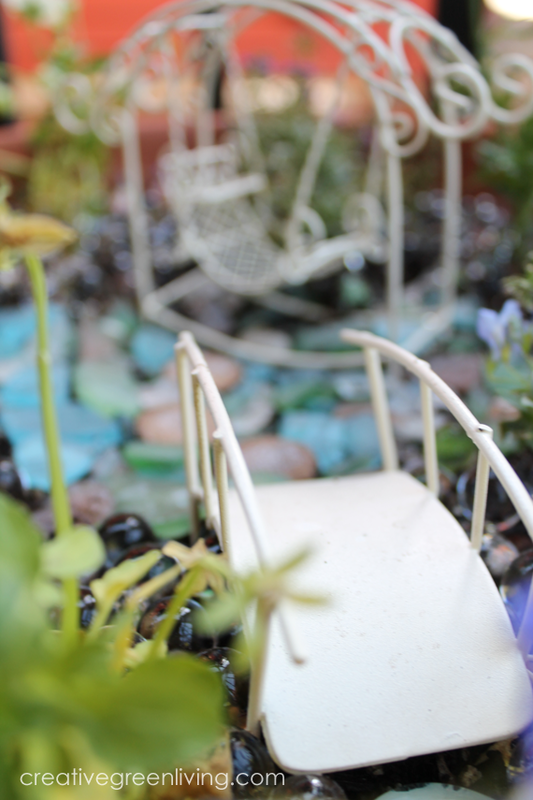 Plant your flowers around the perimeter of the pot, leaving a space for the bridge. Keep in mind that your plants will grow so don't pack them in too tightly! 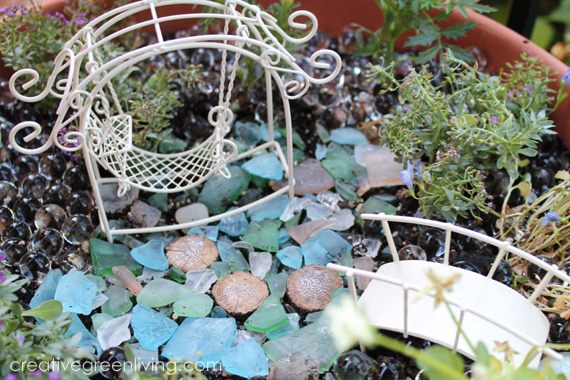 Add the seaglass to the center to create a patio area. 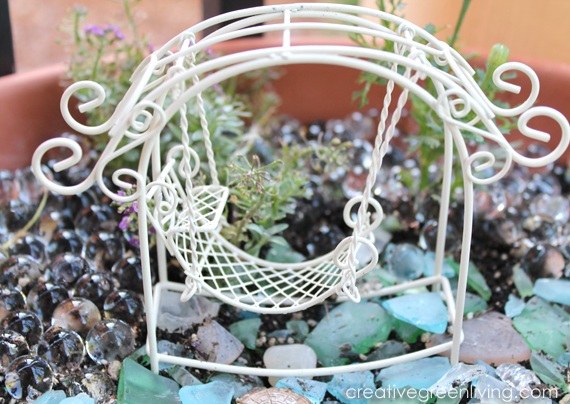 Add your swing to the patio and the bridge to the edge of the pot leading into the patio area. After the video was done, I added some expanded water beads. Not only do they look cool because they look like bubbles, but they will help keep moisture in the soil and make it easier to keep the plants alive and happy without flooding the garden. If you like this post, be sure to pin it for later!